Hope Story - Reading a book isn’t difficult! 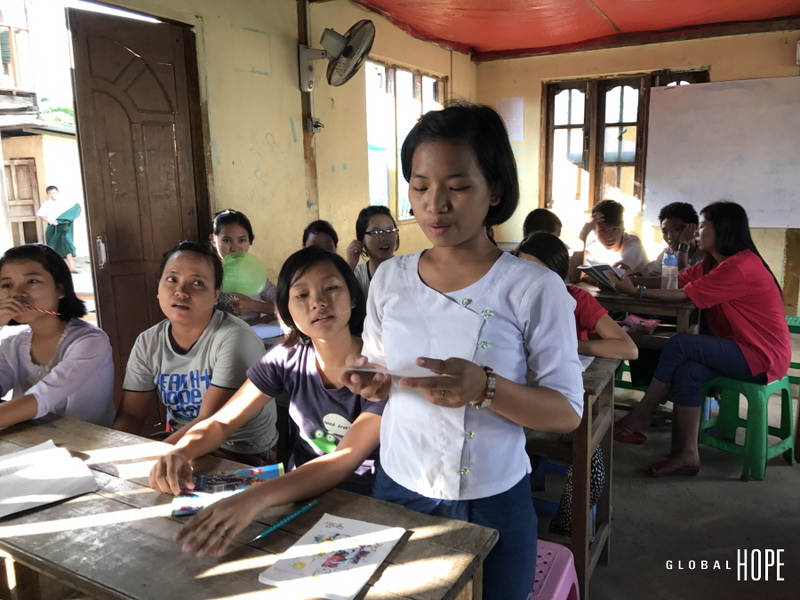 Through the support and cooperation of a local NGO in Myanmar, Thabyae, the first official course on ‘how to read’ began. 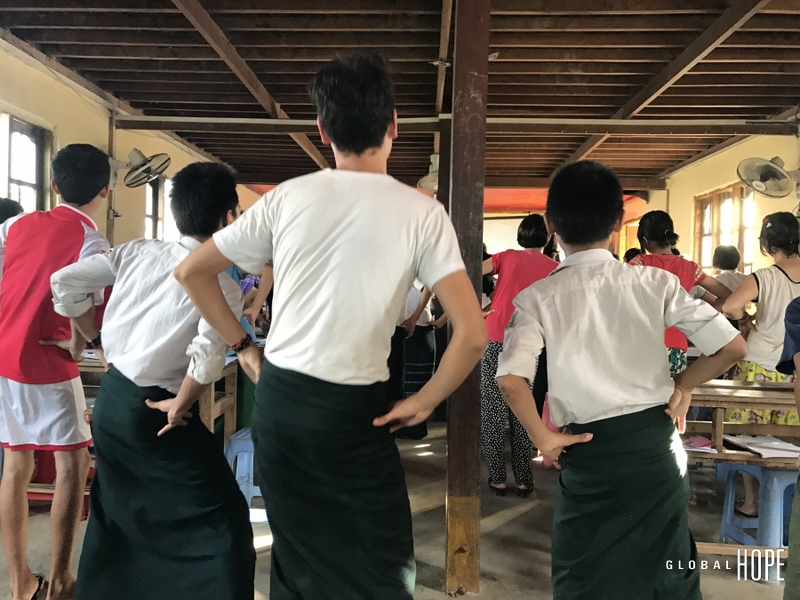 The lesson was convened by various games and activities which helped loosen up the mood. In efforts of keeping the children actively engaged, questions were thrown into the air for mutual consideration, “What is a book? Why do we have to read? What does a writer do?” Vivid discussions took place following these questions and the children engaged in vigorous discussions. Each individual group presented differing yet interesting ideas, which were sometimes contradictory to each other. The differences in opinions brought about smiles and also surprises. Following the discussion, children were encouraged to write down their emotions after reading through fairytale stories. “Happy, Joyful, Sad, and Mad” were some adjectives used by the children. Although they wrote in short phrases, the children were sincere in their opinions and often took long in forming their words. Some students were able to present their writings. The teachers asked questions to further learn of the emotions these children were going through, and also helped revise the writings. We hope that through such initiatives children will find writing as something interesting to do. Not something that is done out of strenuous work, but out of joy!